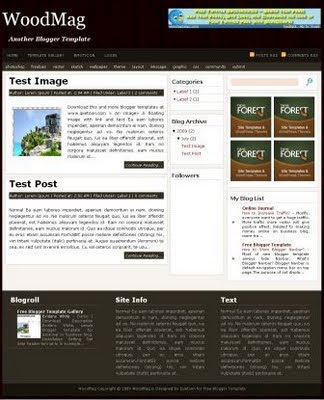 WoodMag Blogger Template, as its name, this template has wood background. Designed well and ads ready. Suitable both personal and business blog. Any comment, suggestion, bug report, just drop your comment. Online Pass4Sure 642-648 simulations contain lot of importance in practical life and career building that is why they are available at Test King at quite affordable cost. Don't take rhce certification exam for granted as Pass4Sure main concern is to provide you incredible quality study materials with no hurdles at all. Grasp the importance of 640-802 exam in future life with latest CCIE Security 350-018 Cisco mp3 guide available at Pass4Sure official website. sat test prep is doing serious business through offering its customers best quality yet low priced study tools with 24/7 online customer support. gre practice test is considered as most helpful source for easy and quick availability of certifications preparation tools with efficient customer support regarding all issues. @zippy:ntar malem ya tak liyatin..dirimu ol ym nya..
WoodMag templete is very nice. Numpang nyedot kang Cebong...,apik tenan keto'e template iki...Matursuwun..
wew......ebong rawk.......tambah maknyus wae bong, wingi koyone pake freemium bong, diganti maning ta? Is it possible with this template to remove the partial posts option? I would like to use this layout with complete posts on the main blog page. Unfortunately, I'm a little CSS illiterate. is this template do follow blog? How can i change the link "continue reading" for another word like "more"? How can I change the font size of the post title? @dilla: have you set it embedded comment form? Hi quick question on the uploading of youtube videos. I like the way it gives you a continue reading msg after showing you some of the text; however, the area will not hold a youtube video - it only shows continue reading. Well no one will know if there is a video there if they can't see it. Any fix for that? Also, the wood background pic sometimes doesn't show up (most the time) is there anyway to fix that problem. Otherwise I love your template, it is very slick. yeah, video will not shown up, this script only detect text and image. Love this template. How do move the gadgets around in the layout section. I'm not able to re-arrange them on the page. When you add a new gadget it automatically adds to the top of the page. Moving gadgets is simple.. Go to Layout, Elements.. Click and hold the gadget you want to move, and drag it to it's new location. I thought it was cutting off at 10 charcters, but it's actually just cutting off a majority of the message.. How do I edit this so that I can use a code to specify exactly when, in each indivual post I make, when I'd like the "continue reading". Sorry if I'm looking over something. I appreciate the template. One question, is there a way to add the "date posted" next to the spot where the time posted is shown? What would the code be for that? I don't see the date anywhere on the posts. Thanks! Peter, you'd simple change the format of the date being placed onto the posts.. Go to Settings, Formatting, and change "Timestamp Format" to what you feel. Hi, I would like to change "Continue reading..." to something else bun I can't find it in the code :S Can you help me please? @daniel: open edit HTML, dont forget to tick mark on expand widget template, then search for "continue reading"
gmana to carany boad "continue reading"ny..? CAN SOMEONE PLEASE ASWER THIS??? HOW CAN AI CHANGE THE " CONTINUE READING " TO SOMETHING ELSE LIKE " WATCH NOW" ???? Email me at Jared@rockerrazzi.com. I ALSO WANT TO KNOW HOW TO PUT VIDEO IN TEH POSTS SHOW THEY SHOW UP ON TEH PAGE AND NOT JUST WHEN YOU CLICK " CONTINUE READING" THANKS!!!! tick mark on expand widget template, then search for "continue reading"
Hi, I want my secondary navigation menu's words to appear in capital letters.I tried typing in capital letters but it won't show.How can I do it? Thanks. My real issue is that it's only displaying some characters on the index page, and the rest are being shown when you view the individual post. How do I modify this number??? Is there a way to show only the first post entirely ??? what do you mean? you want to remove auto summarize? Once again thanks for your help ! do you know how can I remove the auto summarize ? Hi, I like this template very much. How can I remove the autoreadmore into the normal one? After going thru your resources, I deleted all codes on "automatic readmore and thumbnail", and it goes to normal post already. My auto summarize got deleted some how...I want it back..how do I do that? beth: could you re-install the template? I tried and it didn't work! I have tried to make it wider on my own but the the column's just move to the right or off the page...so frustrating! Pls help! Hi, fantastic template, works well for my film review/essay site. One question: is there a way to widen the post space in the full version of the post (after Read more is clicked), while NOT widening the post space on the Home page? Thanks for the great template. One question, how do i remove the ads between post or amend it? @mitkey: i dont put ads. How to delete the black Author box right below the title..??? hay i like this template i used it for my blog template thank for sharing this template for free. Nice n Great Work. Hello, whenever I try to increase the size of the width of the template, it distorts everything. Could you help me? I would like to increase the area of post at 200px. Really good template, I am using it at the moment as the basis for my blog. Although the search function does not seem to work, everything I search comes back with no posts match your query, any suggestions as to why this is? it's a very useful template. but i think the categories is not working. can you help me about this one. thanks in advance. @kestrel: it works for enough post..
when i change the links in the topnav menu, it adds the link to the end of my blog url and therefor does not open the site.. how do i fix this? I have re-installed it many times, but still it looks like the one u have seen..owh..what's the problem actually? 1. I'd like the link bars above to be centered. How can I do it? 2. I'd like to decide when the "read more" botton will be shown. Is it possible? If not, how can I find where is it being set in the XML file? 3. How can I change the color of the links in the sidebar, the posts and the lowerbar? Do you know I do I cancel the automatic Readmore in the template? Thank you so much. It helped me a lot. There is a problem with the links to the older and newer page when showing de full post. They kind of hide behind the post and you can only see parts of letters. And I like to put the author and date at the bottom of the post, can be done? The problem similar to NonSancto has occurred to me. > There is a problem with the links to the older and newer page when showing de full post. > They kind of hide behind the post and you can only see parts of letters. I solved by doing the following corrections. Thank you Gonsuke. It worked. I also could solve the ubication of the author and date changing the order of the code. Is there a way of making appear the "older post" link in the main page (where it shows the summary of the posts)? Never mind about last question. I was trying out the template and I havent enough posts publicated to use two pages. It works perfectly. Thanks again. thanks gonsuke - I had the same problem but fixed it with your fix! can you help me to fix it? Tempate keren, saya mau modif abis-abisan boleh kan!!? udah saya modif setengah jalan. mba ipiet... tengkiyuuuu banget templatenya sangat membantu, aq udah ambil.. Tapi pinginnya tulisan di judul postingan agak kecil, tempatnya dimana ya?? Mbak Ipiet makasih templatenya. bagus banget. Tapi saya mo nanya dikit nich. Gimana caranya mindahin Top Menu ke atas judul blog? kayak blog ini? Nice template, tks for making it available for downloading. Although I´m having some trouble posting more than 4 articles on the main page. PLease SomeOne Make This Template For Wordpress Too! Please! i Love This Template! I will Suicide if its not available for wordpress! lol! Hi.. I have used this one on my blog.. But I am having a little problem.. Why is the "older post" button missing...?? I have clicked my blog and I found it hidden in the box of my latest post.. how can I resolve this..?? I am using this nice template in my blog (http://michaljohnblog.blogspot.com), that is a very good blogger template among many others. I have create 5-6 pages, when I click that pages that will shows a few portion only under that there is continue reading button but when I click that nothing is open, so please help me how can i solve this problem. How can I see full page? When I have click on continue reading in newly created page that will not work, pls help me. Thanks for nice template, I am using this since last 2weeks ok. I have customized it little bit. Today I have check there is no "Post Comment" option, so last 2 weeks I did't receive any commpmets. I have also check all option. Please help me how can I add "Post Comments" in my blog http://michaljohnblog.blogspot.com. Thanks in advance. Thanks for your reply, I check my code and found same as original in comments sections.How can I add "Post Comments" in my blog Thanks in advance. I am using this template. I want to swap post area and mid-sidebar from left to right. Please help me how can i do that? Thanks for sharing. Nice Template! Can I change the colour of the nav bar ?? If can,how to done it ? I am having a small problem with this template. On 'my pages' when I click them it shows the 'continue reading' and when I click it it takes me back to the same 'continue reading' page. http://amrcgiveaways.blogspot.com/p/current-giveaways.html here is an example. any help?? This template having Great features i want to use it for my next blogs. Thanks! Nice template, thanks for making it available for downloading. we are top web design company of India, expert in creating a affordable and creative a SEO friendly website design and development. Really helpful post for me...thanks for the post keep up your good work. I would use for a book related blog. My friend likes to do a book related reviews and he is looking for something like this. Wood Mag Magazine is very nice and more interesting so that can be enjoy it in this Magazine. Mostly people are very like it and enjoy it in this Magazine. So nice Wood Magazine and more interesting Magazine because in this Magazine different types character play in the Magazine so that can be able to understand and know that regarding post. Mostly are very like it and enjoy it in this video. Wood Magazine is very nice and more interesting Magazine so that can be enjoy it in this magazine. Mostly are very like it and enjoy it.